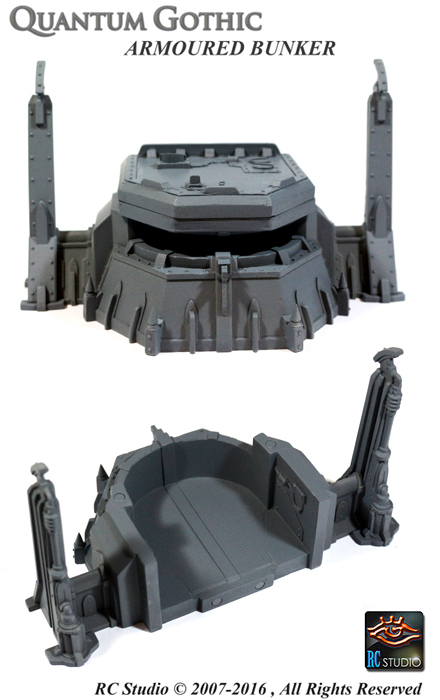 We’re very excited to finally announce the re-release of some of our best resin kits in our range! So many of you have been emailing us asking when these kits would be made available to buy again and now it’s that time! 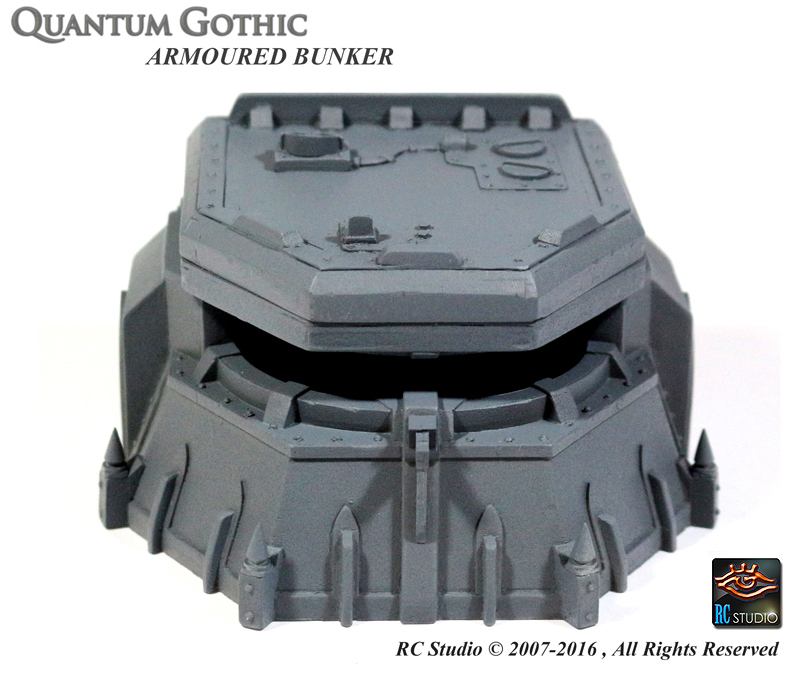 Armoured Wall sections, Armoured Bunker, Perimeter Pylons with Force Field Emitters are all back plus some upgrades! These kits have all gone through a hard re-designing process and not only from an aesthetic point of view but also from a technical point of view. The range has been screaming for something a bit more cleaver and versatile for a while now and so the idea to use strong magnets to achieve that extra level of modularity was ultimately incorporated into the new designs. 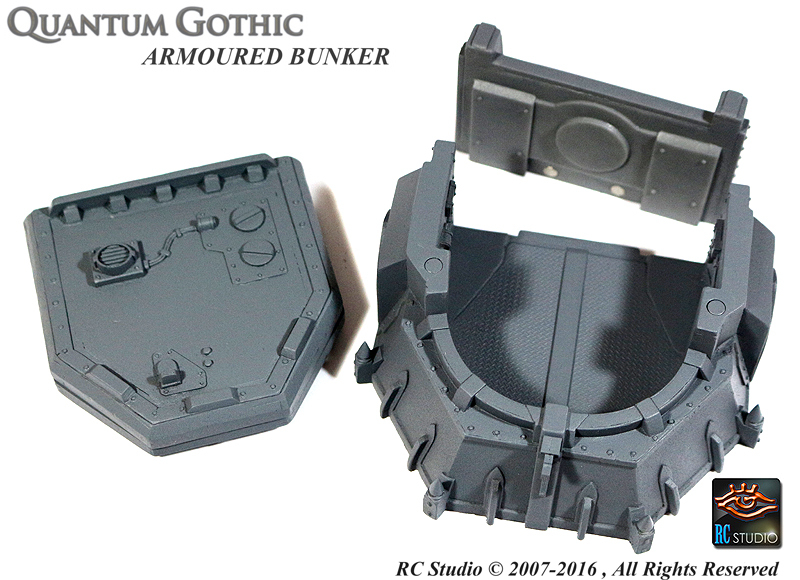 Armoured Wall sections, Perimeter Pylons, Armoured Bunker, etc… ( and most of the coming soon releases ) will all have the ‘magnet’ feature already included on! We have taken away from you the ‘head ache’ of searching for the right magnets and gluing them to the parts. 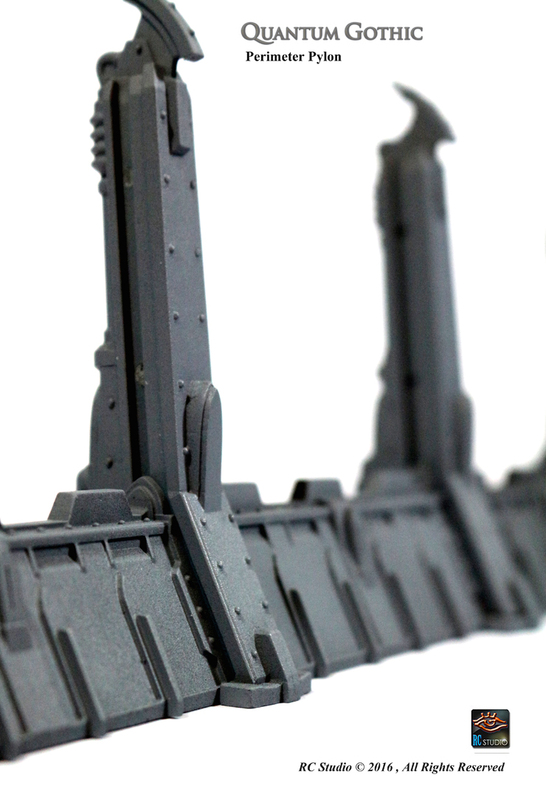 Every piece will have the same ‘magnetic polarity’ across customers and will work without issues therefore allowing you to exchange, borrow or combine together the purchased QG kits when meeting in ‘battle’! 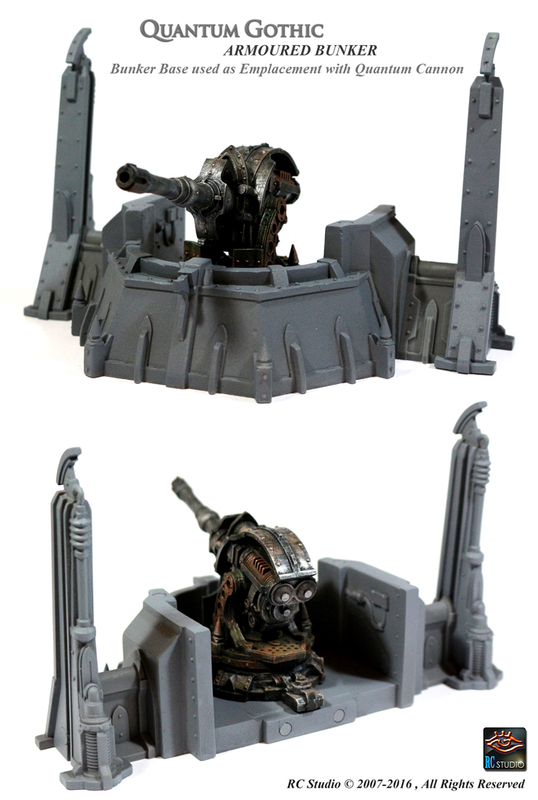 It will be very quick and very easy to put together a solid line of defense for your 'troops' with these sections effortlessly lining up to one another or moved around as you wish. 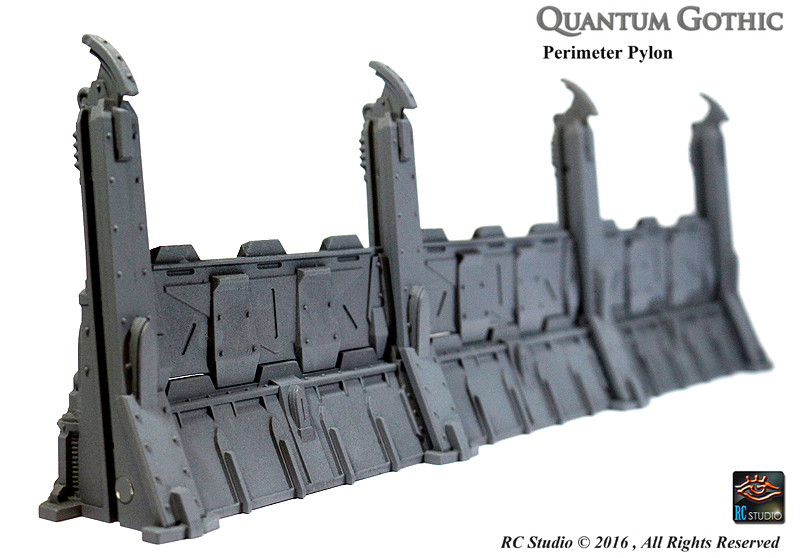 Using magnets has also allowed us to design pieces that can be used for more than one purpose: take the Perimeter Pylons for example. 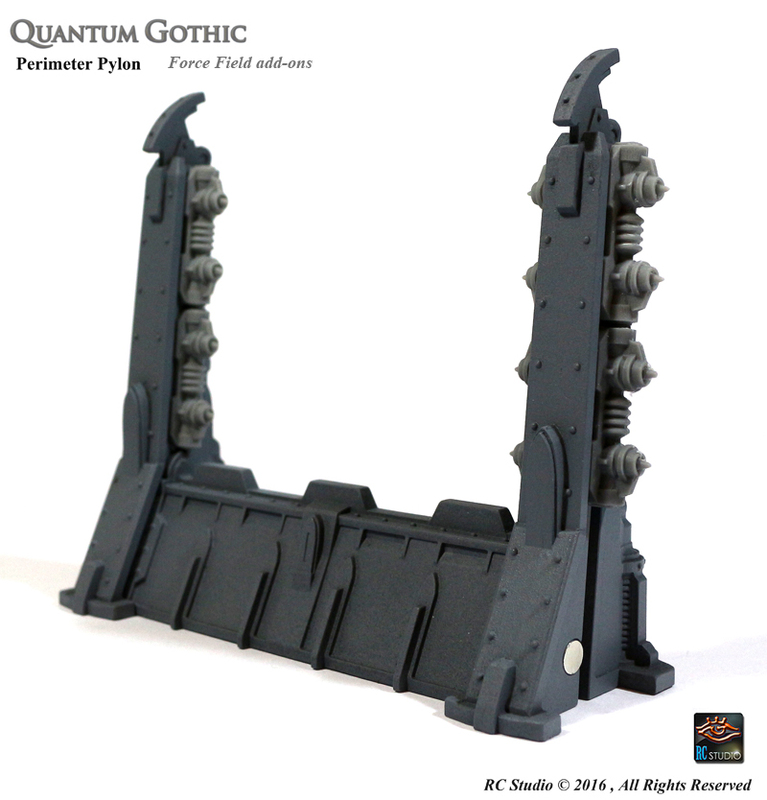 These Pylons host several magnets strategically placed on to its sides so that while they can be attached to our Armoured Wall sections it can also either host Force Field Emitters and/or Armour plating Extensions therefore offering a comfortable level of multifunctionality. A money saver!